If you are looking for instant snapshots of your holiday parties, family get-togethers or holiday outfits, you have got to get the The Polaroid Snap Touch Instant Print Digital Camera With LCD Display! 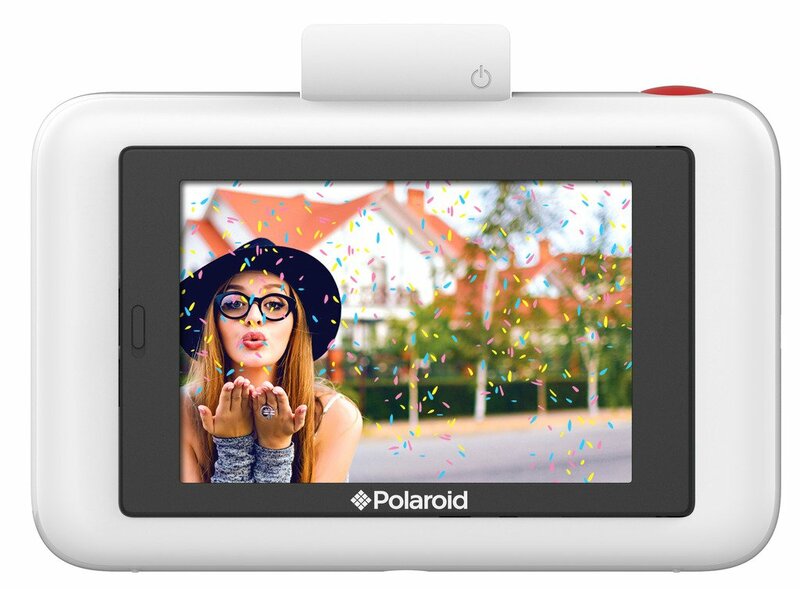 The Polaroid Snap Touch Instant Print Digital Camera With LCD Display makes it fun, quick, and easy to snap, record, edit, print, and share all of your holiday moments via bluetooth connectivity to the Polaroid app or the built-in instant printer! Its 3.5” LCD screen allows you to zoom, enable HD video, set the auto timer, or add filters, borders and stickers to your photo or video, before it’s even taken. I have fond memories of our old Polaroid camera when I was young that instantly printed our memories out right away! I still have many Polaroid pictures printed from my childhood and I wanted to print those instant memories now with my children! I love that I get the best of both worlds with this camera - I can choose to print pictures right away or share each photo via the Polaroid app and social media right away or save to the camera’s SD card for later! This camera quickly prints vibrant, full-of-life, high-quality instant prints with ZINK zero ink print technology, on a 2x3” smudge proof, peel-back adhesive paper, making each instant print a sticker! We printed some really cute pictures of our children this Christmas to make a Christmas ornament and we used the camera to make Christmas angels with our children's faces on them! The projects and ideas are endless with this camera! PLUS, through December 31st, Polaroid is making one lucky winner's holiday wish come true! When you post your favorite holiday photo on social media with the hashtag #PrintItForward, you are automatically entered to win your own Snap Touch camera. A new winner is selected every day, so keep posting those holiday photos! Polaroid's new Snap Touch is the perfect way to capture and share the holiday magic in your home! 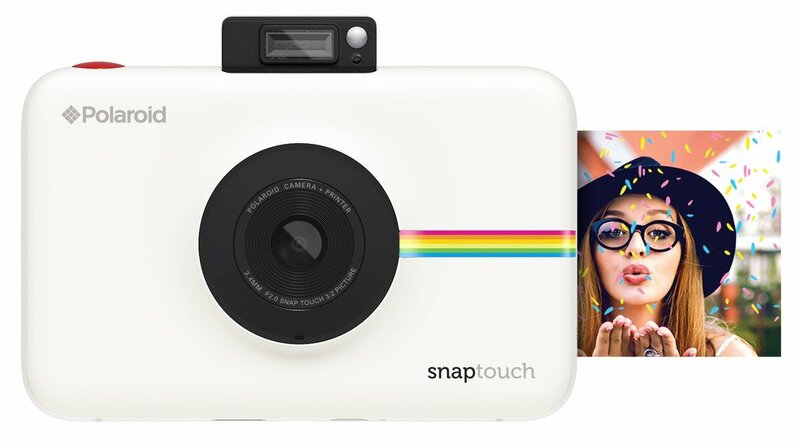 You can purchase the Polaroid Snap Touch Instant Print Digital Camera in 6 colors (white, black, red, pink, blue, purple) for $179.99 on Amazon.com and at major retailers like Macy’s, Target, Best Buy, and Walmart. 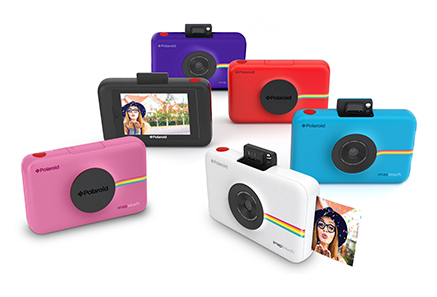 Polaroid is generously offering (1) Polaroid Snap Touch Instant Print Digital Camera to a lucky winner! I entered the Stock the Coffee Lover's Stocking with @CommunityCoffee #Giveaway.